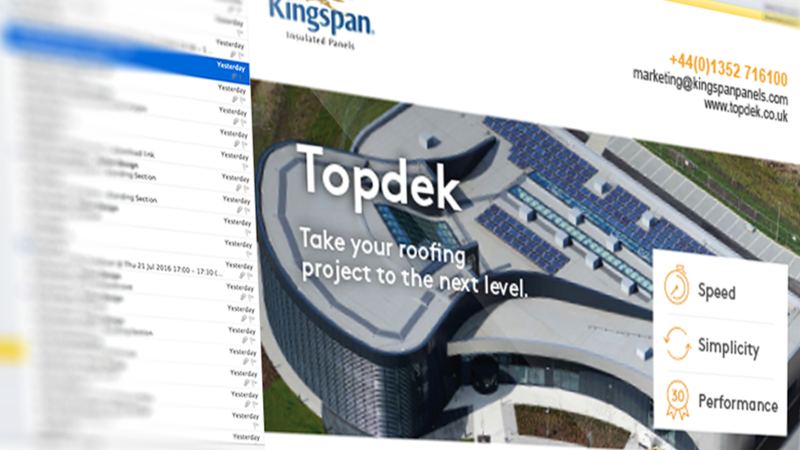 Kingspan, a world leader in energy efficient, high-performance building solutions asked us to develop an effective strategy to increase awareness of their innovative roofing system, Topdek. Identifying a need to improve understanding amongst architects, we set out to demonstrate how quick, easy to install and reliable the product was compared to traditional built-up methods with an integrated product marketing strategy. 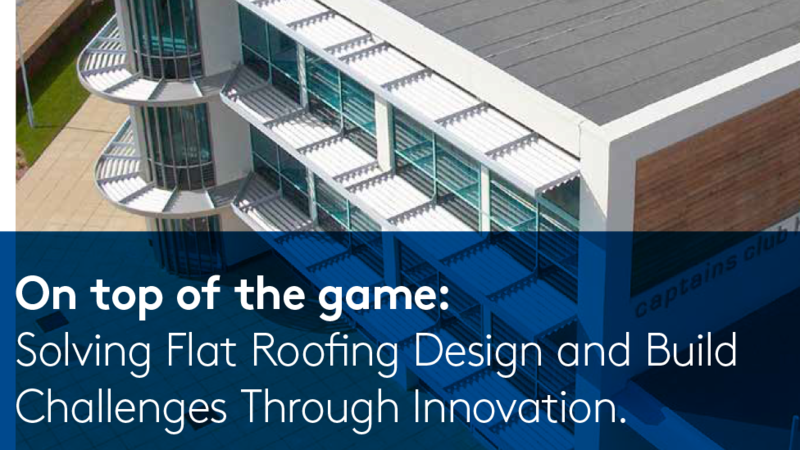 Customer research revealed that, despite significant research and product development to create a superior product, there was a lack of awareness in the market about its benefits compared to traditional roofing solutions. Additionally, as decisions about roofing are typically secondary considerations for the target audience on a building project, purchases were more often based on familiarity rather than actual performance or cost factors. To overcome these challenges, we devised a strategy that targeted key audiences from a variety of channels. Microsite – a central location where we could drive traffic, track online activity and educate architects about the speed, simplicity and performance benefit of the product. 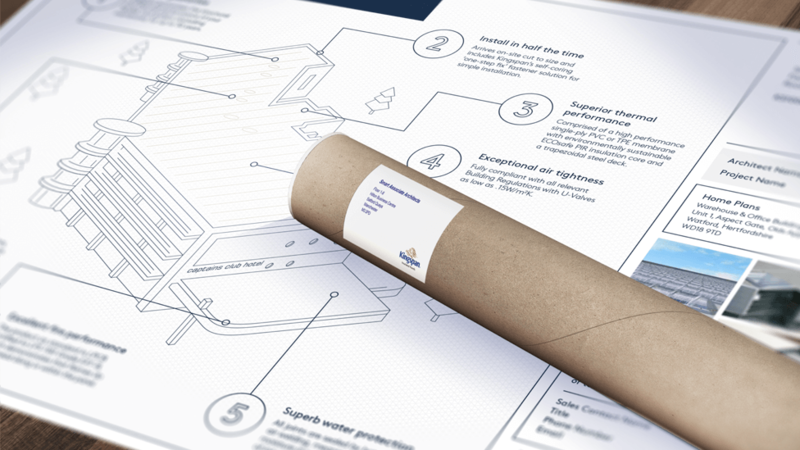 Direct Mail – designed to look like building blueprints, this personalised piece is a clever way to familiarise architects with the product and generate dialogue with sales teams. Emails – a series of internal and external communications created to showcase the product in the context of actual project case studies. 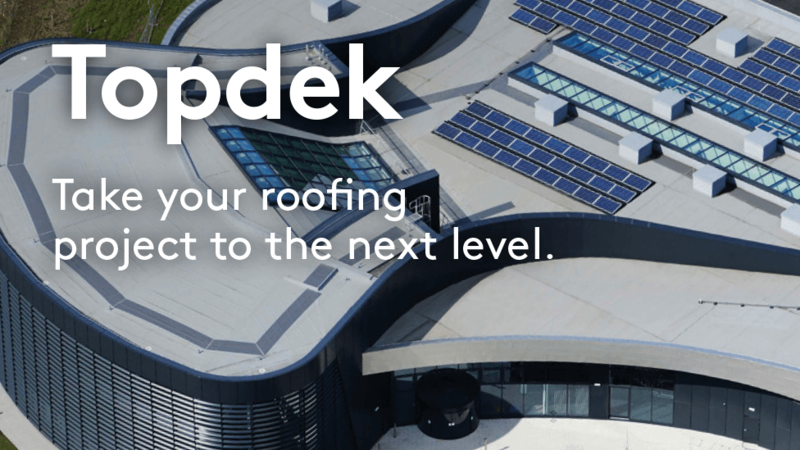 Magazine ad – print ads featuring eye-catching photography to showcase Topdek’s versatility for a variety of building projects. 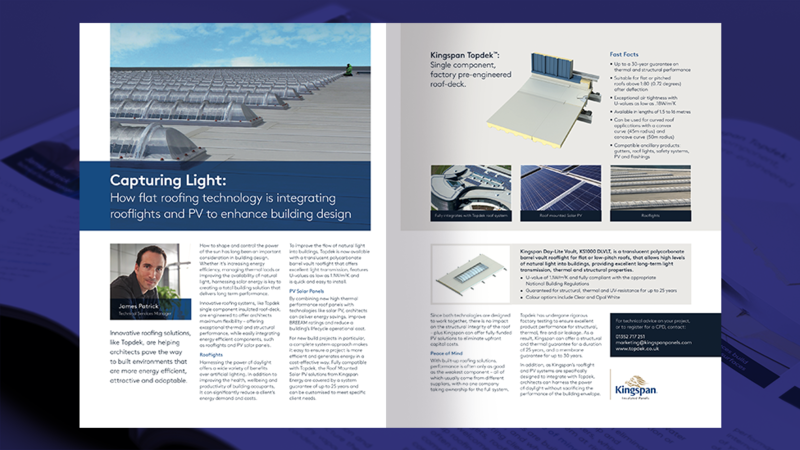 Brochure – we changed how the client introduced the product in its informational collateral with a refreshed look and three spreads focused on innovation, flexibility and sustainability. 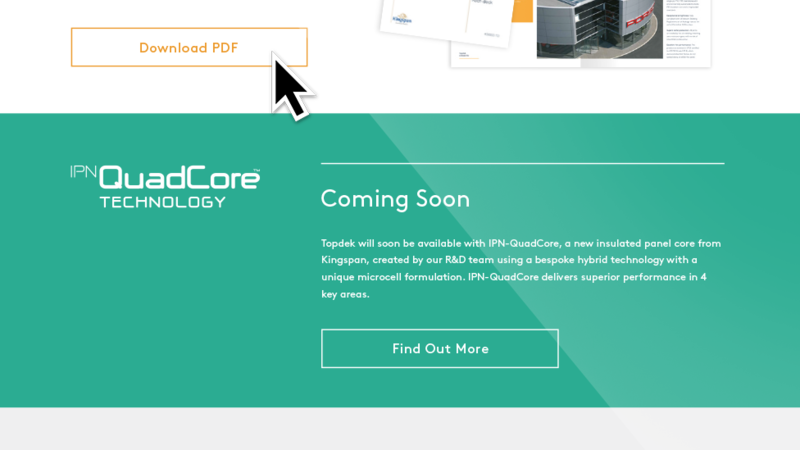 Advertorials – in-depth interviews with product design experts on the client’s internal team were turned into persuasive advertorials for trade publications that added credibility to the integrated marketing campaign. 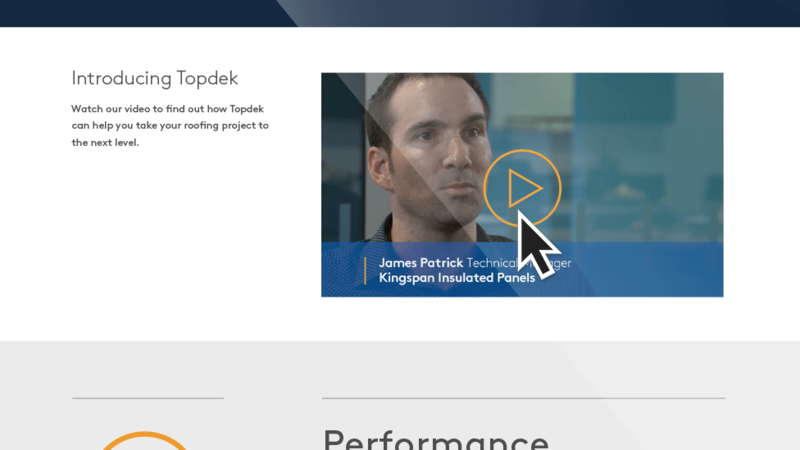 Video – an installation guide for sales and installation teams to demonstrate product benefits and effectively position Topdek against traditional roofing solutions. Social Media – we developed assets for Kingspan’s Twitter and LinkedIn that supported the release of new materials and helped tie elements from the strategy together. Response to the product marketing strategy was extremely positive, resulting in a significant increase in enquiries and product sales.